Team - Rocha Marques. Incentivos à inovação. Rocha Marques relies on professionals with a wide and deep experience in productive processes, product development and the concept of Technological Innovation. Our team brings together many different skills, with professionals trained in law, accounting, engineering, administration, economics, controlling and literature. Learn more about our founders. 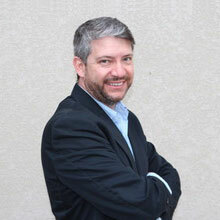 With a degree in business administration and accounting and a post-graduate certificate in foreign trade and an MBA in Controlling by the University of São Paulo – USP, Marcos has served as an economic and financial manager in a German multinational, including, during this period, a management training program in Germany. Founding partner of Rocha Marques, he has actively participated in the discussions on analyses and improvements of public instruments of tax incentives and programs promoting technological innovation. He is a co-author of the book EcossistemaInovação, published in 2014 by Embrapa. Graduated in economics and accounting sciences, he also took an MBA in Controlling in USP. 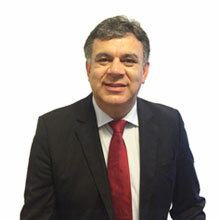 He is a founding partner of Rocha Marques and has been operating for more than 20 years with federal tax incentives. From his work in multinational companies, he has extensive experience in the drawing up applications for BPP (Basic Production Process), goods developed in the country and PADIS processes. A Rocha Marques tem experiência e conhecimento técnico na implementação e gestão de projetos de incentivos fiscais.